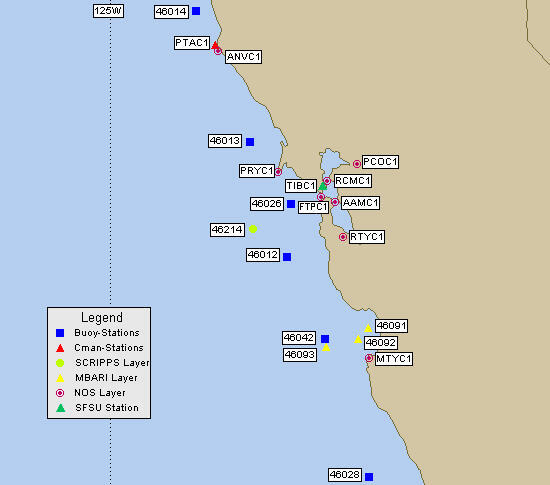 Below is the buoy data from the National Data Buoy Center. The display will rotate between Air Temperature, Water Temperature, Wind Direction @ Speed, Wind Gust Speed, Barometer, Barometer Trend, Wave Height, and Wave Dominant Period. Click on the buoy ID from the table to see station details.